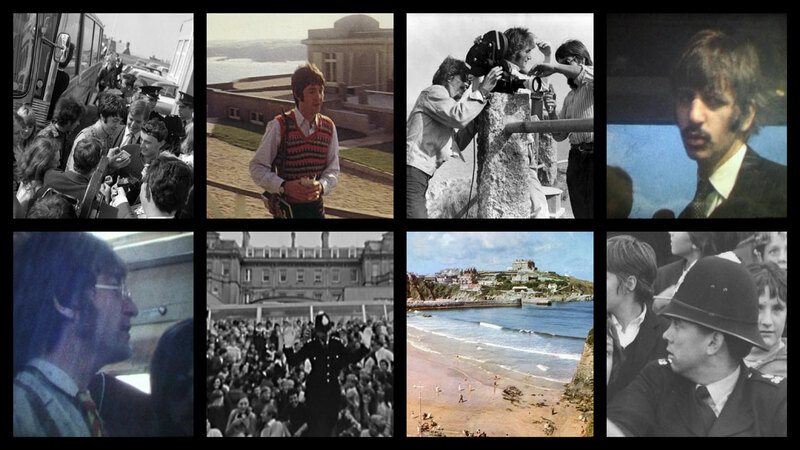 This project highlights the cultural link between the worlds most famous and successful group, and all of the places touched by The Beatles on their location filming tour across the south of England in the autumn of 1967. 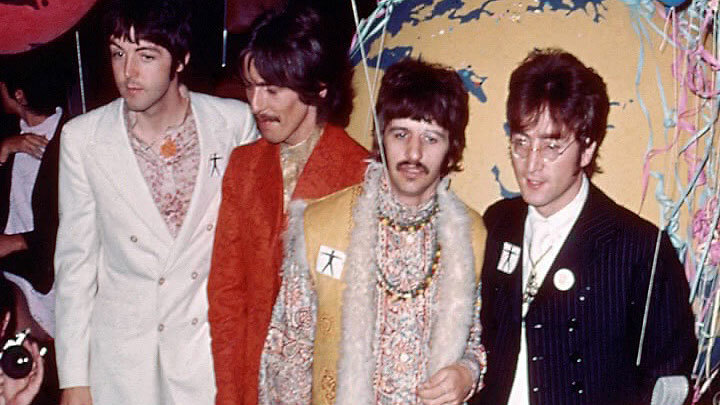 Then on Monday 11 September 1967 the Fab Four set off on their colourful Magical Mystery Tour Bus to the West Country from their homes in London. 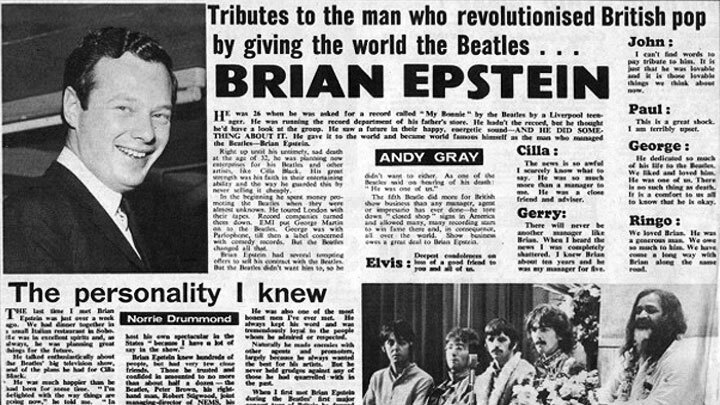 At the time The Beatles were reeling from the recent death of their manager and friend Brian Epstein, but in an attempt to keep the group going forward, Paul McCartney decided to press ahead with the making of the group’s third film. 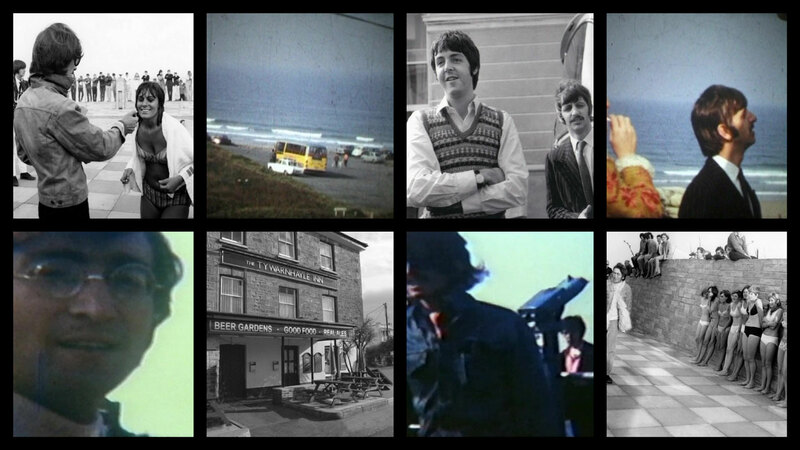 Hence the tour idea, which took the famous foursome and their passengers to various places along the journey. 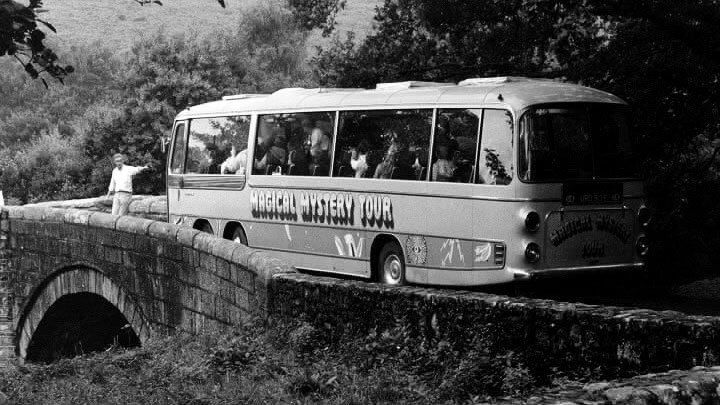 Teignmouth and Plymouth in Devon were visited and there was also a narrow bridge and their much wider coach.. causing traffic pandemonium on route to Widdecombe Fair! 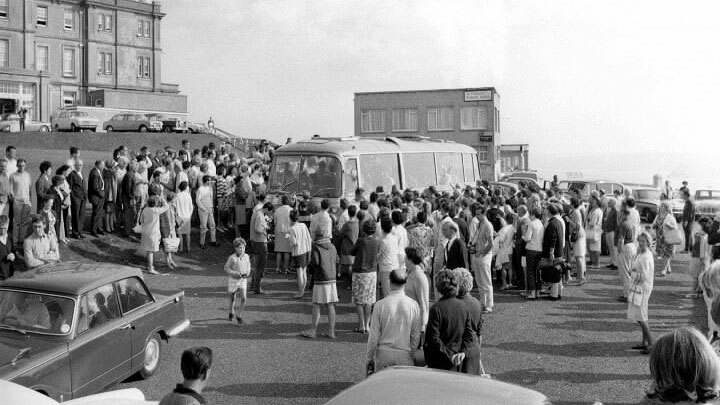 Eventually the tour reached Cornwall, calling in for ice creams at Bodmin before their eventual destination at the seaside resort of Newquay, which became their base. 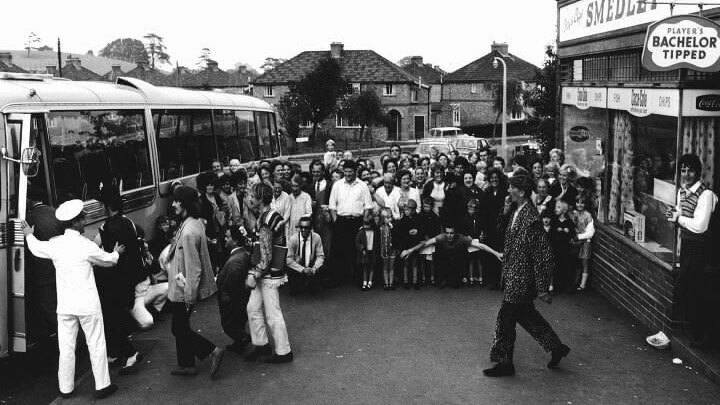 Each place on the route saw great excitement as the locals discovered exactly who had arrived in their neighbourhood! 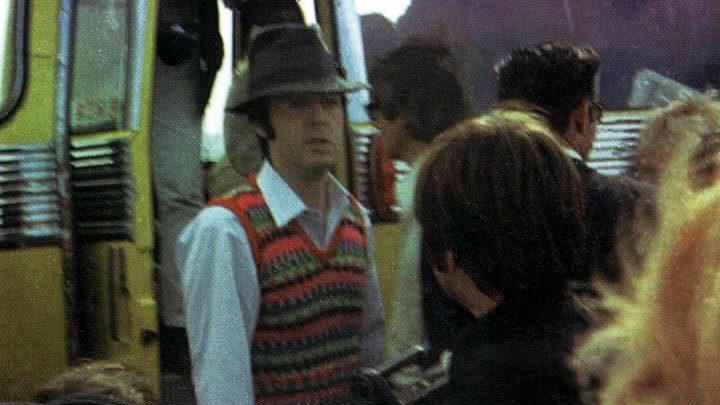 The filming trip returned to London on Friday 15th September, calling in for fish & chips at Taunton, and on a separate stage of the filming the tour concluded at West Malling in Kent. 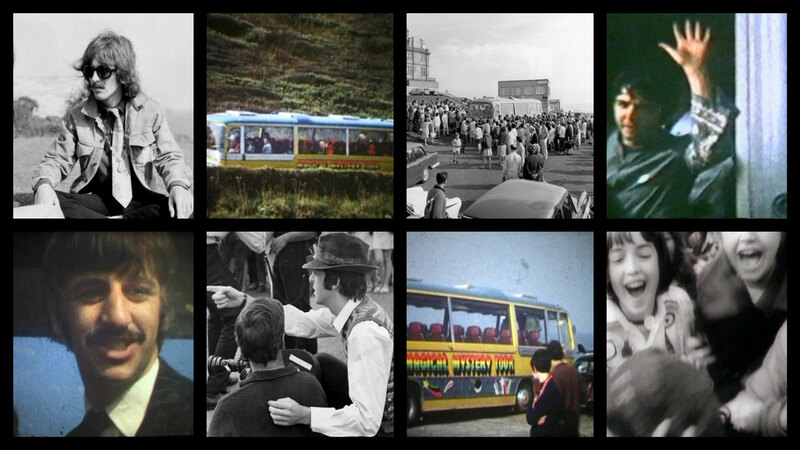 The aim of this MMT Revival was to capture the eye witness accounts of those fortunate fans and onlookers, who found themselves in the right place at the right time, some of those even gaining chance encounters with the Beatles. 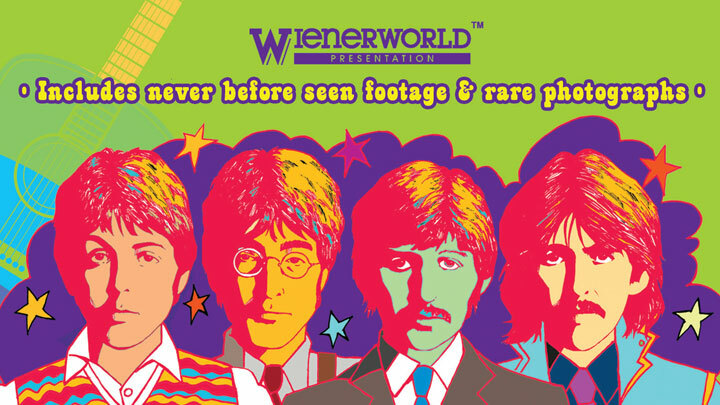 Many of these stories provide the theme to the DVD that came from this project, and was released worldwide in 2008. 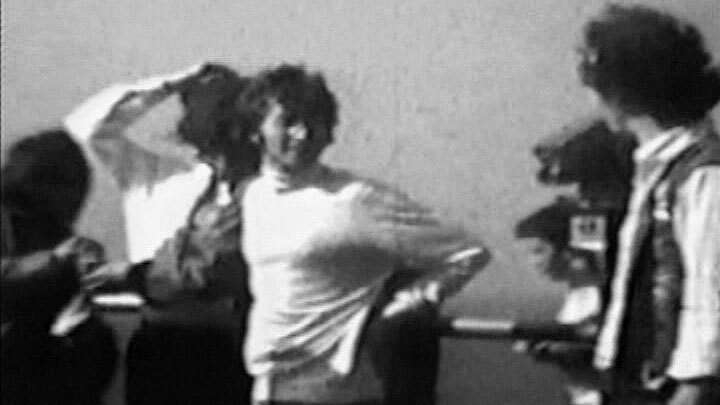 Another feature of the MMT Revival is The official Plaque which was unveiled by the then Mayor of Restormel Council on 19th October 2002 during a festival weekend at around the start of the MMT Revival. 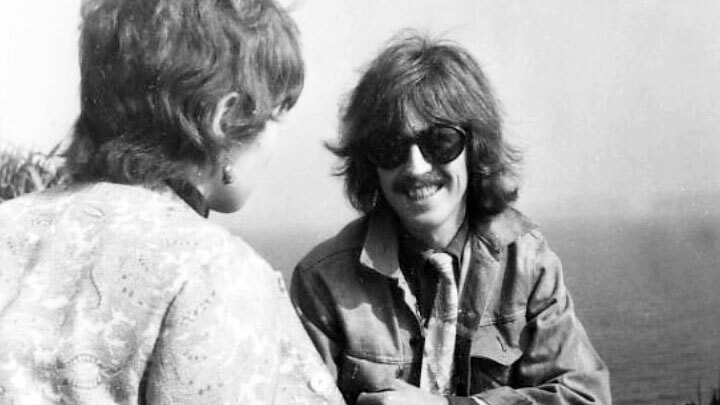 It is worth commemorating the groups visit, because although they had such incredible success, it was all confined to a relatively short period of some seven or eight years. 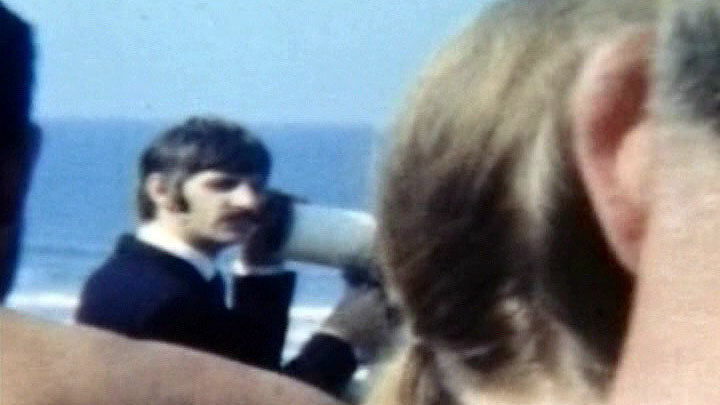 And Newquay, along with the other ports of call for the Mystery Tour Bus, are a part of that unique and fantastic story. 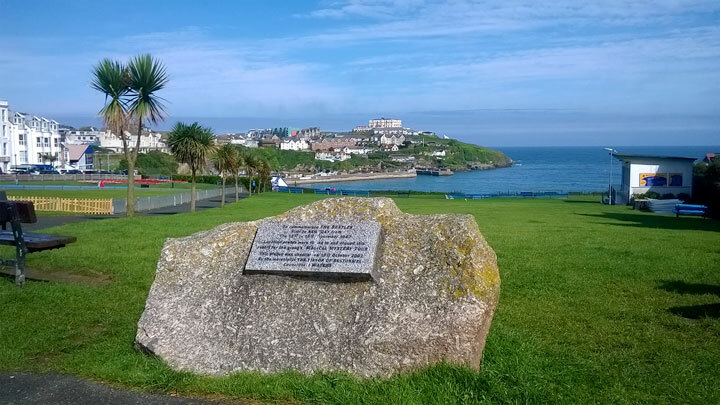 The Plaque can be found in the heart of Newquay, with the large Atlantic Hotel across the bay. 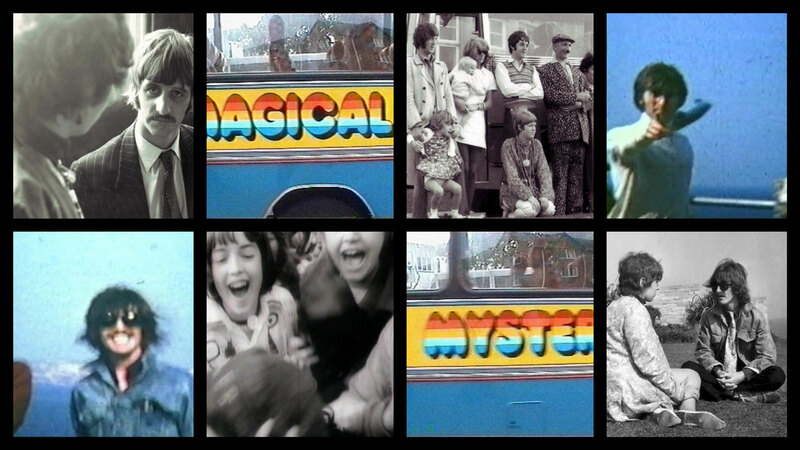 It was the scene of great excitement when The Beatles came and stayed on their Magical Mystery Tour!